The Skinny Doll: Get your pom poms out! It's that time of year... yes all the Christmas ads are on the telly... and the shops are killing us with all the festive stuff and even the die hard Christmas fans are starting to struggle! but that's not what I'm talking about... This is the time of year for stage diving off the weight loss wagon! When you're lurking on Face Book at lunchtime and someone comments that they derailed over the weekend, spur them on... they'll love your honesty that they're not alone... if you're struggling too, you'll not only motivate them, but you'll motivate YOU! 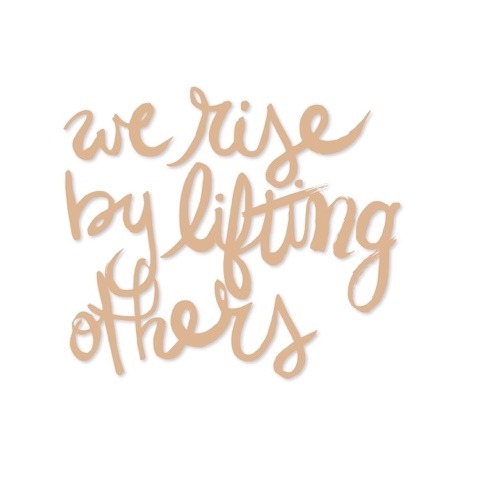 As the quote says, we rise by lifting others... so this week, get your pom poms out and be a cheerleader for someone who needs some pep in their step! So this comment doesn't have anything to do with this post--I just couldn't find where I was supposed to contact you, so I'm doing it here. Hope that is OK! I am new to blogging, and I happened upon your blog through breakouttheskinnygirl.com. I absolutely love the way you have set up your blog, and I am completely obsessed with your "Inspiration" sidebar. You know, the one where you post specific blogs you like from other bloggers. Can you tell me what plug-in that is? Or are you manually entering that? Sorry for the random questions. Just remember--total newbie. That's me. (you can check out my blog at theskinnysoul.com just to make sure I'm legit).